Haringey Sixth Form Centre is an Education Facility based in Tottenham, London. It is purpose-built centre dedicated to offering full-time courses for 16–19 year olds. 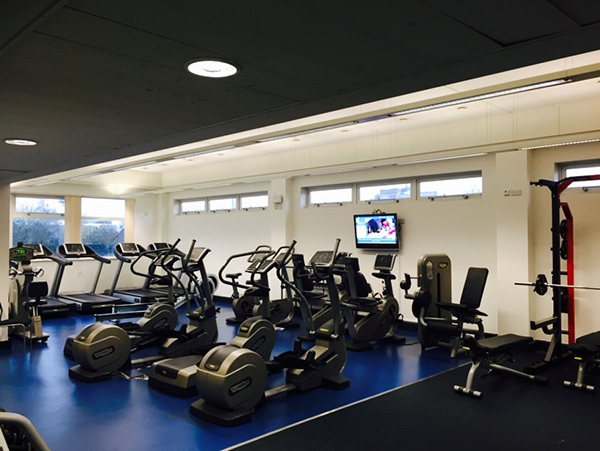 The Centre is zoned to provide specialist facilities for each area of the curriculum and includes a wide range of facilities on site such as Dance Studio, 200 seat Theatre, Art studios, Recording studio, Science Laboratories, ICT workshops and Sports Facilities. 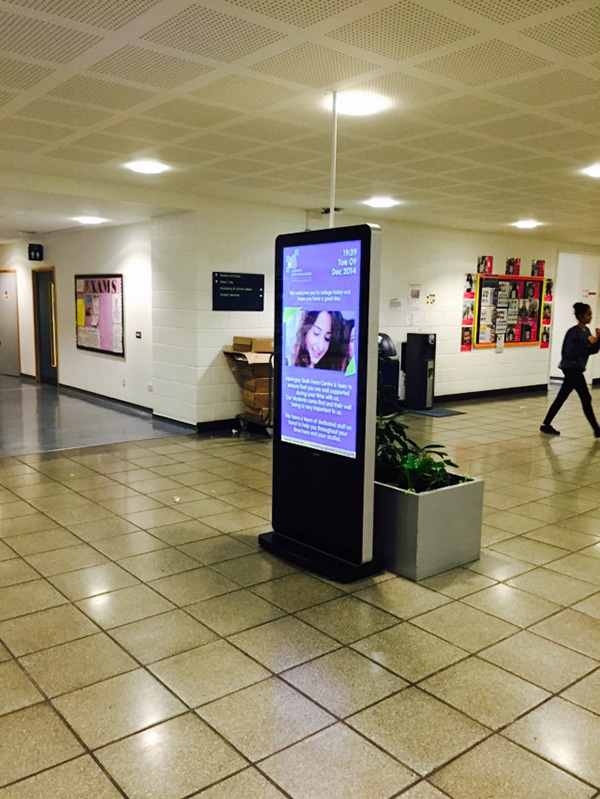 Haringey Sixth Form Centre were looking for a more efficient and effective way to communicate messages to students on campus and identified digital signage as the right solution for them. They requested the ability to be able to display different messaging in different areas of the building and to provide multiple users with access to update content relevant to their area. The centre also requested that the signage solution included the ability to distribute live TV to various screens at certain times of the day. Haringey Sixth Form Centre required a signage solution that could be installed and managed on their internal network infrastructure. Eclipse Digital Media provided a ONELAN digital signage solution consisting of one Publisher with a built in DVB-T TV Tuner and a streaming license, with a collection of subscribers with WiFi and stream in licenses to receive content from the Publisher. To make a focal point for information at the entrance, Eclipse Digital provided a 55″ Freestanding Digital Totem with a ONELAN player mounted within. 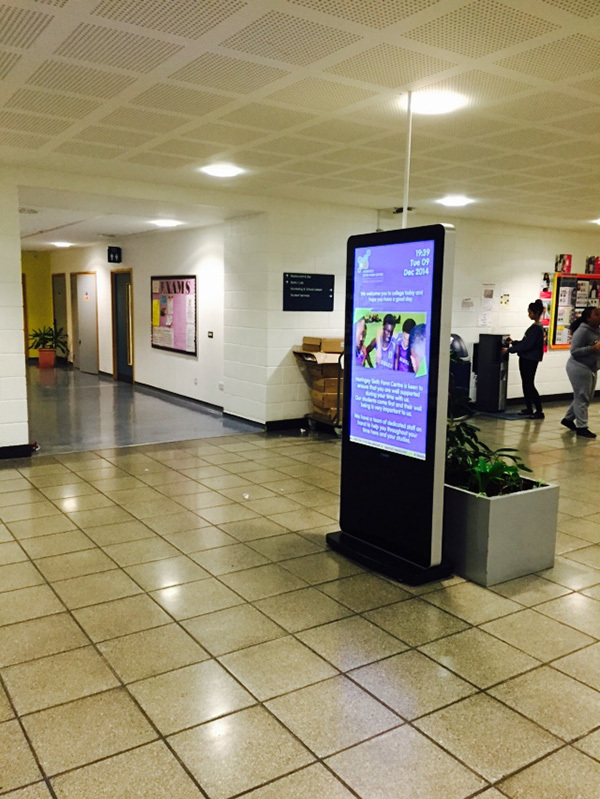 As Haringey Sixth Form Centre already had some existing screens in place, subscribers were installed nearby and deliver content direct to the displays. 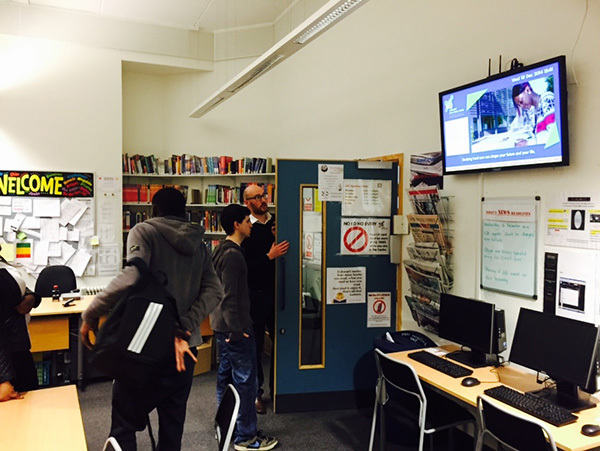 A brand new commercial grade 42″ was also installed within the Library resource centre where there was no exisiting display. Multiple users have access to specific areas of specific location content to provide relevant information to the students and all the subscribers have the ability to display a stream of Live TV from the publisher at various scheduled times.